This post is part of a series about Designing the Obvious, a book about common sense Web application design. Learn more about this series. I often find myself overwhelmed by the daunting task of completing a project, or fixing errors with an existing project. There’s so much to do that it feels useless to do anything. Kaizen is a Japanese term meaning continuous improvement. It is not about big changes, giants leaps forward. Kaizen is small changes, which over time compound. 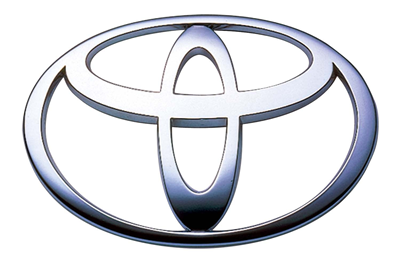 Toyota uses the idea of kaizen to design and produce quality automobiles. Though the roots of kaizen are in manufacturing, it’s well-suited for work on the web, where many small changes can be made quickly. Many of the ideas in Designing the Obvious are about identifying simple, easy tweaks to improve your project. From trimming features to giving users the right information when they need it, a little kaizen makes a big difference, eventually. What’s that saying about journeys and first steps? Overcoming hurdles that seem insurmountable can be done by finding one tiny way to improve, doing that, then finding another. I’ve found even the smallest changes have had tremendous impact, especially with how I feel about what is achievable. Are you practicing kaizen, with or without the term? Or, do you think changes are best made in broader strokes? I’d like to hear about it. If you leave a note below in the comments, you might even get an autographed copy of Designing the Obvious. At the end of this series, I’ll randomly select three commenters and ship each a book. One of the cool things I heard about Toyota – every employee on the manufacturing line has the ability to stop everything with the push of a button if they notice something that is inefficient (and know a way to make it better). If an employee does this and figures out a way to make any part of the process better, they get a bonus, thus encouraging employees to improve on the process, no matter how small it is. Baby steps. Small changes are easier to implement than big ones. Sure, there’s a time for a big broad change, but often the little tweaks add up. Recently I was working with a friend who thought he wanted to do a complete redesign/retheme of his blog. Instead of an all-at-once redesign, I talked him into making small incremental improvements to his existing system. Spend 10 minutes adding OpenID. Spend 30 minutes adding some new CSS effects. Add a plugin or two. It’s easy to provide relatively small, easy-to-implement changes that provide a big value for the end user. I’ve found that if I wait to make big sweeping changes all at once, those changes often get pushed to the back burner due to the amount of time involved. By making Kaizen-like small improvements, the work gets done faster, leading to real, tangible improvements. Ooh. I read a bit about Toyota’s practice of Kaizen at ChangeThis.com about 2 years ago! This article (appropriately named “Elegant Solutions”) explained the philosophy quite well, giving narratives and implementations behind the concept.